Logistics Plus® is a leading provider of expedited freight services, including ground and air, cargo van, exclusive-use, time-critical, time-definite, white glove, and specialty equipment options. Logistics Plus expedited freight services give you the peace-of-mind that your critical freight shipments will be delivered quickly and on-time. 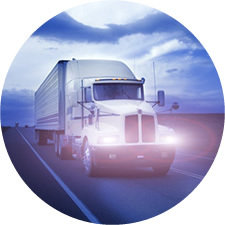 The Logistics Plus network allows you to affordably tap the industry’s premier time-critical carriers and expeditors. Anytime and anywhere – we’ll find the right expedited solution to fit your need, including both ground and air options.